Oh, sweet love of succulents. Not to alarm you or anything, but I think my black thumb is getting greener or something because I’m a succulent planting maniac these days! I seriously love these plants and am so thankful for the monthly box of succulent glory I received this week. 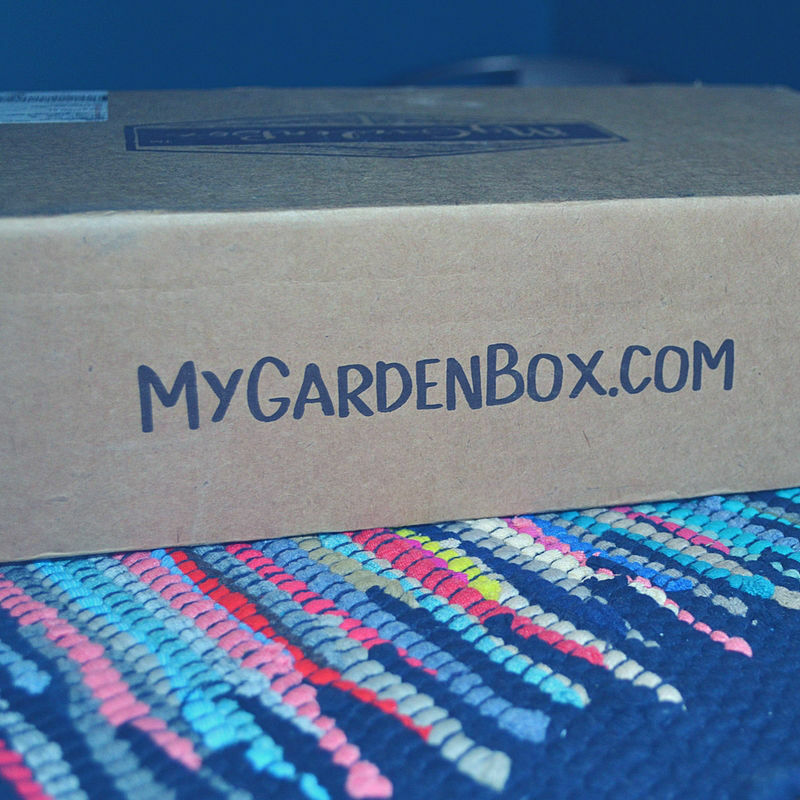 This post is sponsored by My Garden Box (see how to enter for your chance to win one below!). If you’ve been following along, you know that I am THE WORST at caring for plants. The plants that do best in my world are those that are hardy, require mindful neglect and can live in places that either get tons of sunlight or no sunlight at all because I typically plop them somewhere and totally forget they are there. Closet? Garage? Shelf I look at every single day, but still forget to water the life growing atop it? It happens guys. It’s who I am. The cool thing though is that I’ve been getting better at this gardening and planting thing lately, but it’s not on my own accord. I stumbled upon My Garden Box some time ago and they seriously, are helping me step up my gardening game. And, I’m really enjoying it! 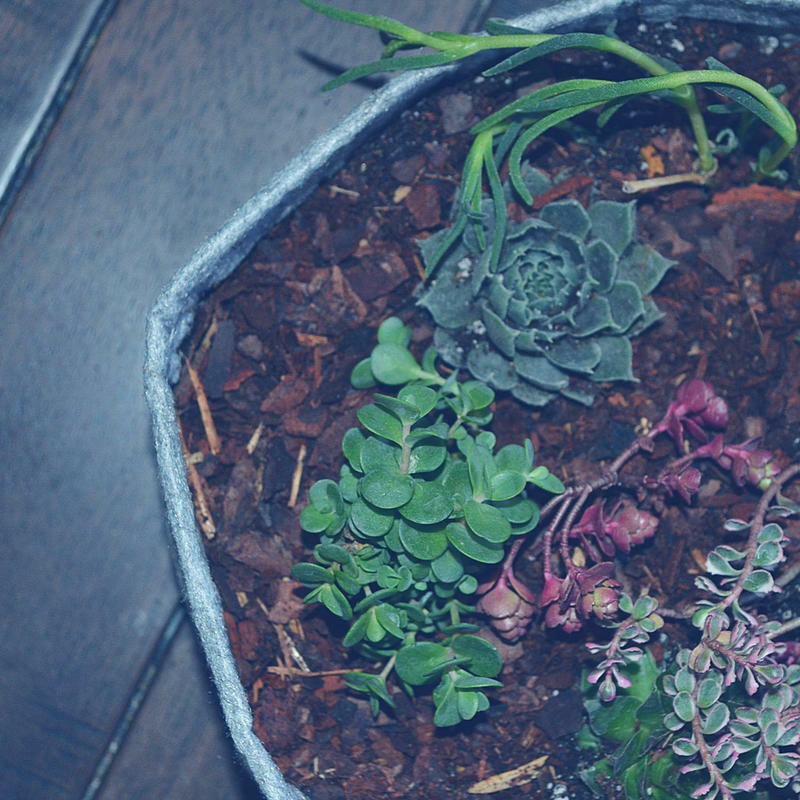 Last month, my daughter and I planted a dish garden together (it’s still alive, how I have no clue) and it was super fun. But, this time around, Mama needed a little zen and so, therefore, I waited until my little lady was out of the house and got to planting quietly…and peacefully…alone. Ahhhhhh. These boxes always come with the cutest themes (like Chicks and Hens) and this month was all about New Beginnings. 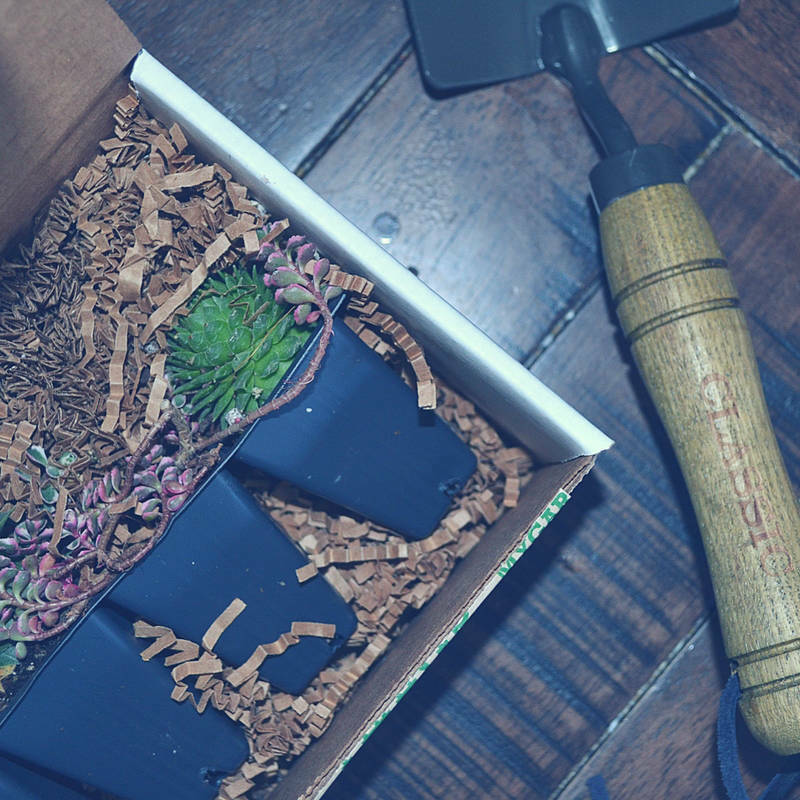 The Just the Beginnings box was filled with EVERYTHING I needed to make another beautiful succulent garden (to hopefully not murder). 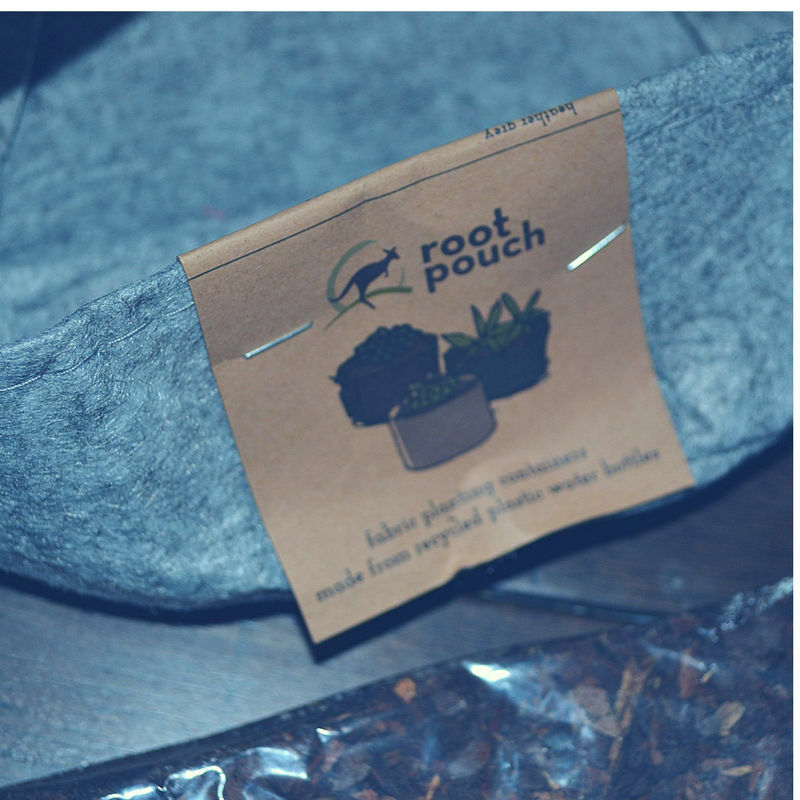 This Root Pouch “Jill” Planter was a welcome delivery. Grey is my jam and it was fuzzy, and I like fuzzy stuff, so there’s that. Can I take 2 seconds to remind you that as I was putting this together, my house was quiet. Like QUIET. 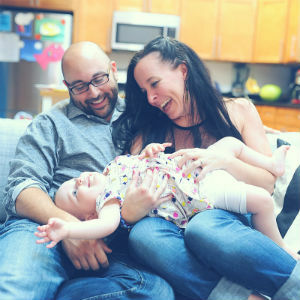 The hubs and the little lady were off on an adventure and I was the zennest Mama evs. 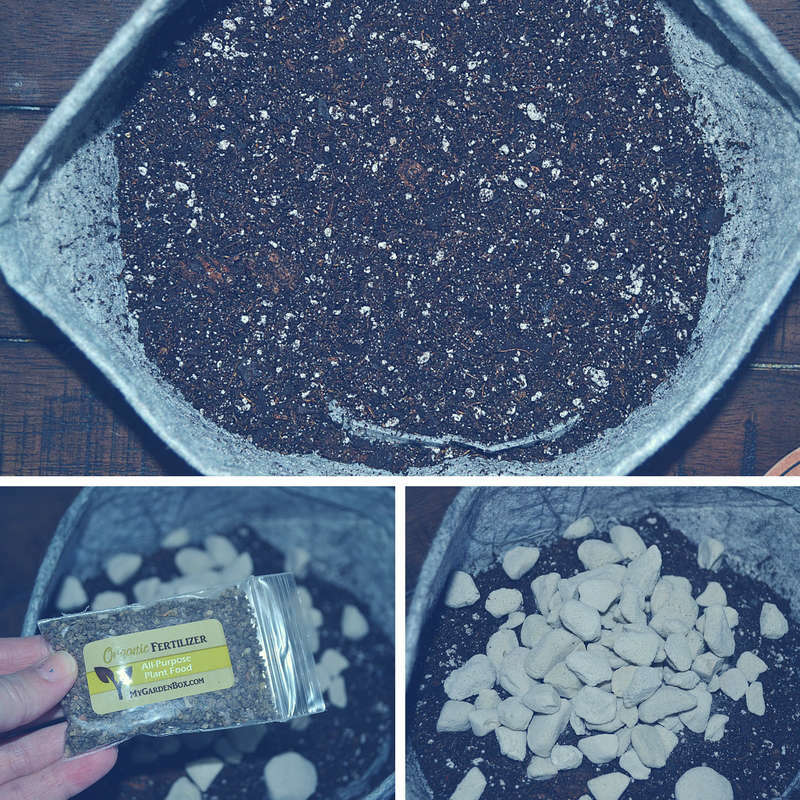 Thankfully, they send you step-by-step instructions to put your gardening treat together because I had no clue what to do with this stuff at first sight. I started by adding the House Blend Soil (2/3 of the way full), then added GrowStone and Organic Plant Food. I mixed it up with my hands (as per the instructions), drank a sip of coffee and breathed in the silence. 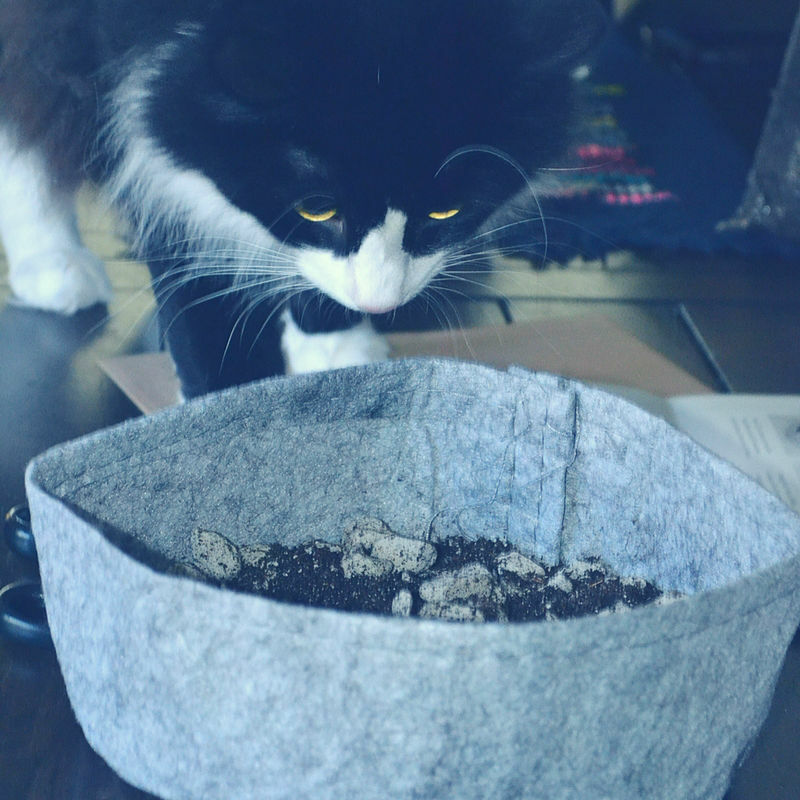 It was quiet just long enough for my cats to arrive and totally put a thorn in my zen gardening moment. Kids…amiright? 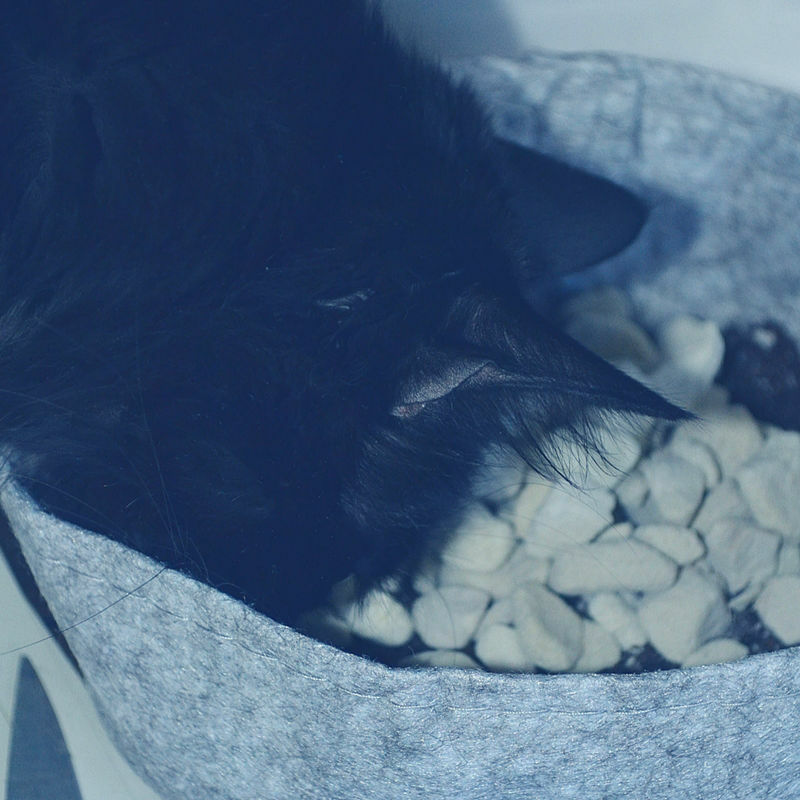 The tiny one wanted to eat the rocks – I’ll tell you the story about how we spent our vacation fund getting random “small things” out of her belly a couple of months ago. And, the giant one? Well, she just wanted to sniff stuff. 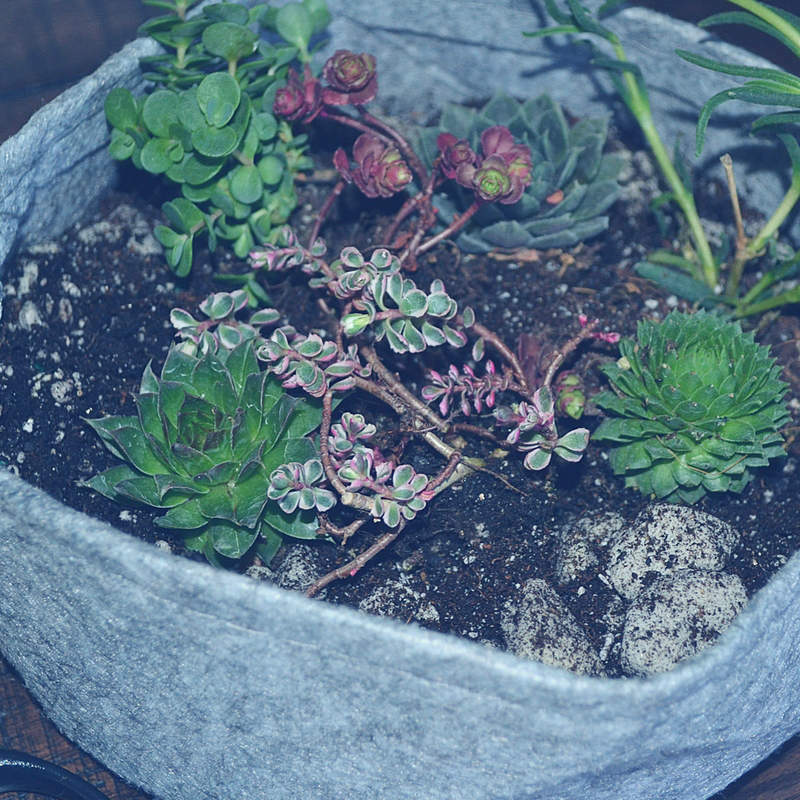 Once I got the kittens to skidaddle, I started adding my sweet little succulents to the pouchy-thang. PS – my last couple of boxes have arrived with a nice little extra inside. This time around it was this really nice Classic Hand Trowel to be used for my outside gardening efforts! 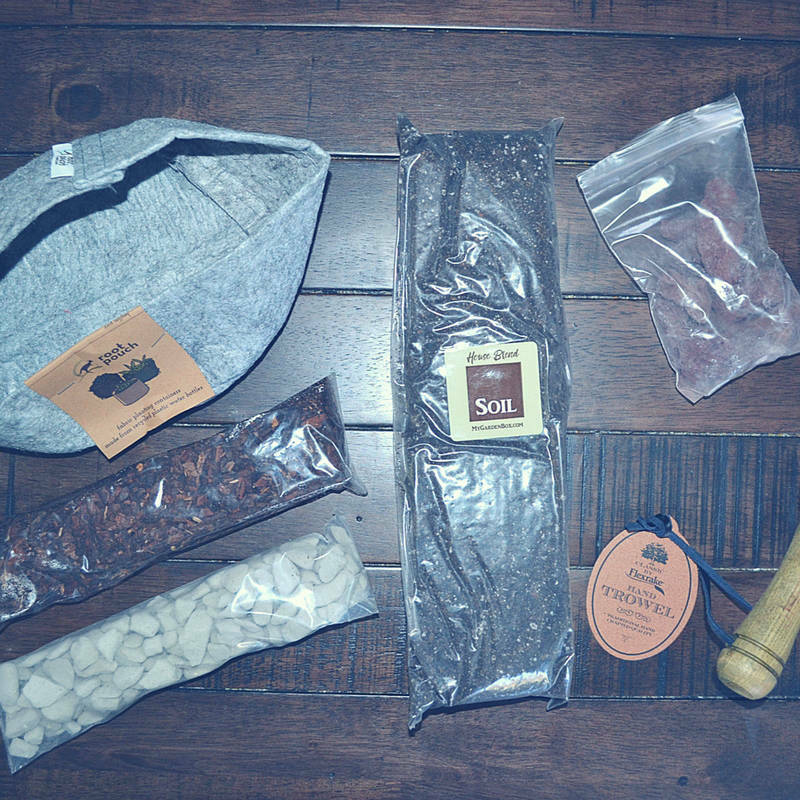 I received 7 different types of plants including (3) Sedum Plants, (3) Sempervivum Plants and (1) Delosperma Plant. I felt like I needed to water them stat, but the directions said I should let them get used to their new home for a few days before watering, so I listened. 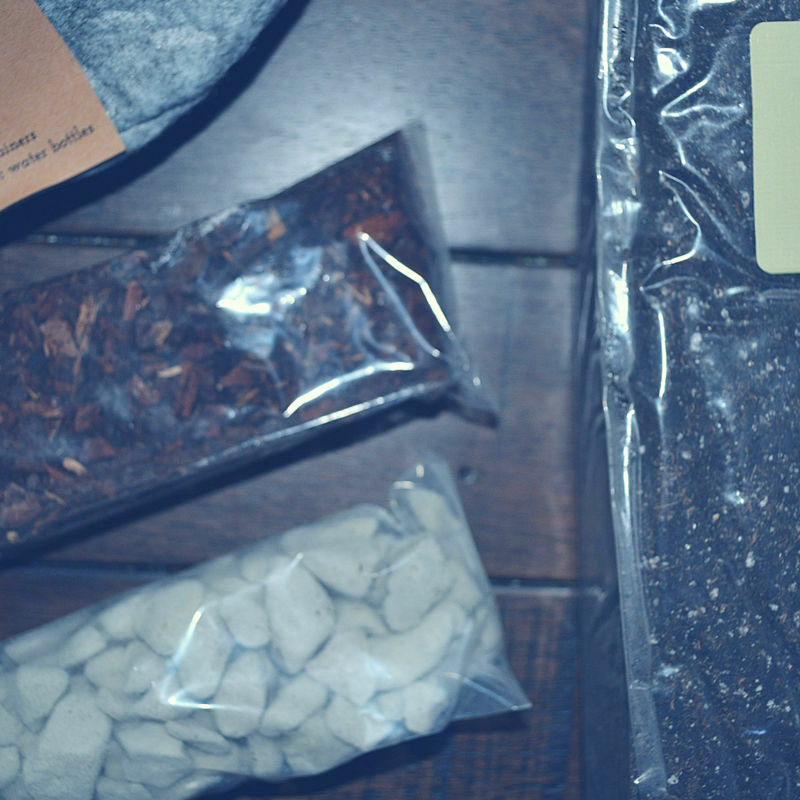 After adding the plants, I decorated with the tree bark and the Lava rocks. They really made the mini garden come together! And, I was totally relaxed by the end of this glorious gardening project. It didn’t take too long to put together, and was just the right amount of time for me to get a little “me” time creating something really gorgeous. My Garden Box puts together a uniquely themed collection each month that offers beautiful plants, creative decor, and a touch of fun DIY. Every box is gardener-tested and given the green-light by on staff growers and gardeners. Subscriptions start at $21.50! COUPON! Enter KIDDO20 at checkout to get 20% off new box orders. Expires May 30, 2018. Don’t forget to enter for your chance to win one for yourself right here! 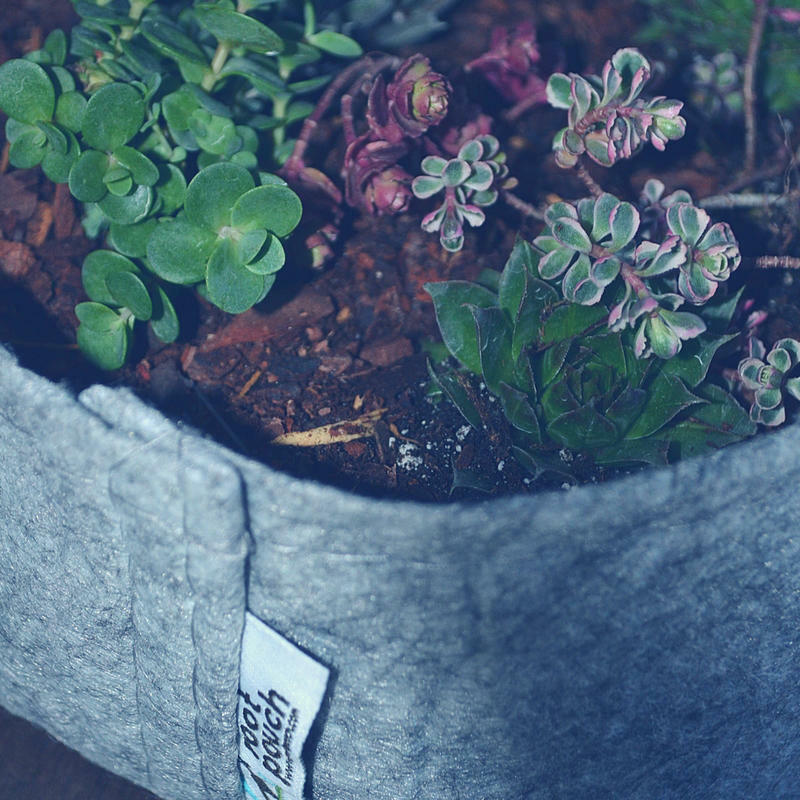 Are you a gardener? What’s your secret to being so awesome at it? Asking for a friend. 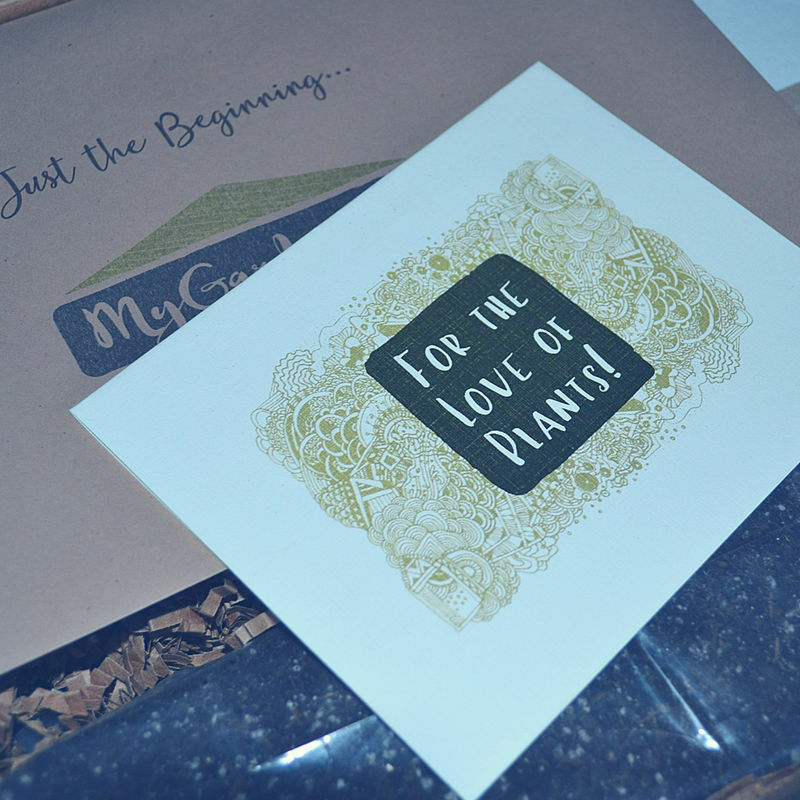 Check out my latest My Garden Box review here before ya’ go! NO PURCHASE NECESSARY TO ENTER GIVEAWAY. Ends 4/29/18. Open to legal residents of the 50 US, 18 years of age or older. Subject to official rules available in the rafflecopter entry form here. Void where prohibited. *DISCLAIMER: This post is sponsored by My Garden Box. It is a combination of my personal insights, opinions and thoughts on various topics and products and may contain affiliate or referral links. I earn a small commission if you make a purchase through my links, which helps me continue on this fabulous journey of blogging! Full disclaimers avail. here.